Thanks for asking that - I’ll try to compile the current code - let me know if/when you get the latest firmware installed. Glad to hear the tests passed OK! Lime Suite GUI is really just for development and testing. I was one of the Backers so you can let me know when you have a new V3.0 ready and I’ll play with it since I have a new LimeSDR…I’ll also convert the old one I have to the new firmware to see if it’s compatible, too. I believe I used the 10 Msps sample rate and the 4 MHz bandwidth, I had issues with other combinations crashing gqrx. So i found the link, but strange thing, the auto program was trying to download a different one to the latest it was trying to get the 1.3r2.0 rather than 1.3r3.0 ? 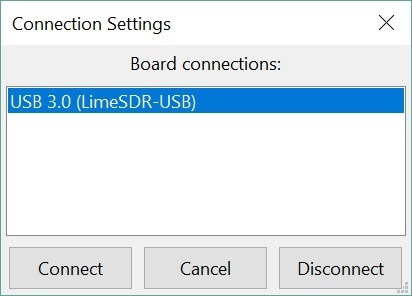 Using my development board it always shows as Cypress FX3 USB StreamExample Device in the Device manager, not Myriad-RF LimeSDR-USB. 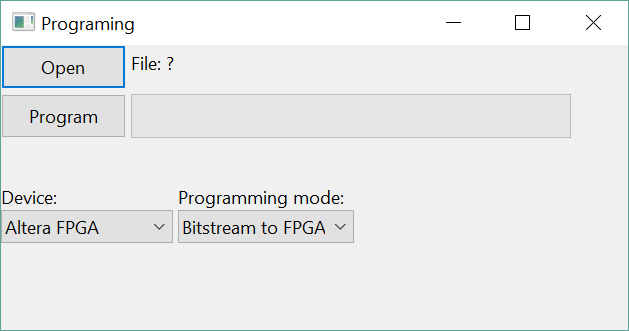 Have you installed the latest PothosSDR DE, which as of now is: PothosSDR-2017.01.22-vc14-x64.exe	? Sounds like you have an older firmware image loaded if it’s being enumerated with the Cypress VID and example PID, instead of the LimeSDR PID and Openmoko VID. Please point me in the right direction to get the board updated so I can help the owners of the new cards. I seem to recall a couple others being able to use old drivers with the new boards. There may have been a release that included the new PIDs, but kept the old device name. I would uninstall the old drivers and install the new signed ones. I’ve been through the process described on the Wiki. As Andrew says, I must update an image but I need help doing this. Is this with a new or old card?